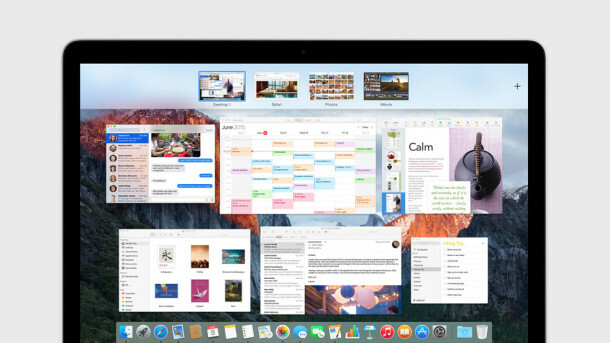 Spaces are the the Virtual Desktop feature in OS X, and it’s part of the Mission Control window management system on the Mac. If you’ve opened a few desktop spaces that you no longer need access to, you can close them. You can repeat this with all spaces, except the last active one of course. There are other ways to close the virtual spaces but, remember, you can quickly close desktop spaces in Mac OS X Mission Control by holding down the Option key, this causes the familiar iOS style and Launchpad (X) close symbol to appear over the spaces which can then be rapidly closed. Alternately, you can mouse over spaces and the close button will appear on hover after a second or two, but the option key is immediate. For both approaches, closing a space that contains an app or windows results in those windows being shuffled over to the next desktop. Where did you get the Background for Desktop 3? I was wondering since i barely shut down my iMac, is there a possibility to ‘name’ each desktop? I.e., production, design, games etc. etc. instead of seeing Desktop 1, 2, 3 etc. ? Unfortunately there isn’t a way to change the names of desktops, but if you full screen an app then the desktop will assume the apps name. Hopefully a future version of OS X will allow for this. Thank you for the quick reply. I kinda suspected that. It doesn’t matter i guess. I mean the visual representation gives the user the ability to identify application running in other desktops. How did you add more Desktops than what is allowed in full screen apps?? Is there any way to close all of the desktops and have nothing up there? Honestly, I liked it better the old way with spaces which I accessed with corners. I wish I had the option to set it that way now.